Enhance customers’ satisfaction by enabling them to specify preferable delivery dates and time intervals to receive orders. Easily define the dates and time available for delivery. Delivery date options on the checkout page. Delivery date info in the checkout progress column. Delivery date in order confirmation emails. According to the survey, conducted by Econsultancy, 50% of respondents had abandoned a purchase because of inconvenient delivery options. Among the required options mentioned by respondents are a fixed delivery date, next day delivery, 2-hour delivery slots, etc. The conclusion is obvious – customers are not satisfied with standard delivery and demand flexible and individual delivery options to plan their time. If they don’t get the options, they leave your store. With the Magento delivery extension you will avoid misunderstanding in communication with customers by providing clear and simple delivery process. Specify the dates and time available for delivery and let customers choose the suitable variants. The module provides customers with the option of delivery time selection. Now they can set particular days and time periods when they’d like to receive the order. For example, one can choose the day – November 22, and the time interval from 10.00 a.m. to 11.00 a.m. if it’s available in your delivery schedule. This easy, but very important option significantly enhances customers’ experience allowing visitors adjust delivery time to their personal needs. Let the customer see the delivery data in the checkout progress column. Moreover, along with the opportunity to set the preferable delivery date customers get the chance to write delivery comments. Now they can inform you beforehand about their specific preferences which will definitely improve your delivery service. Use maximal and minimal delivery intervals to customize the most convenient time intervals between the order and the day of delivery. You can also indicate by which time customers should make a purchase in your store in case they want to receive their order the same day or the next day after the order is made. With the reminder option you can inform customers about the upcoming delivery. 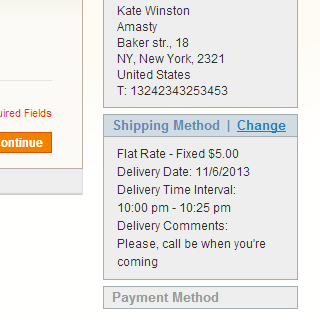 Specify particular time (in hours) before the delivery to send the reminder. The extension also enables you to send reminders not only to customers, but to their sales representatives as well (available to Sales Reps and Dealers extension owners only). 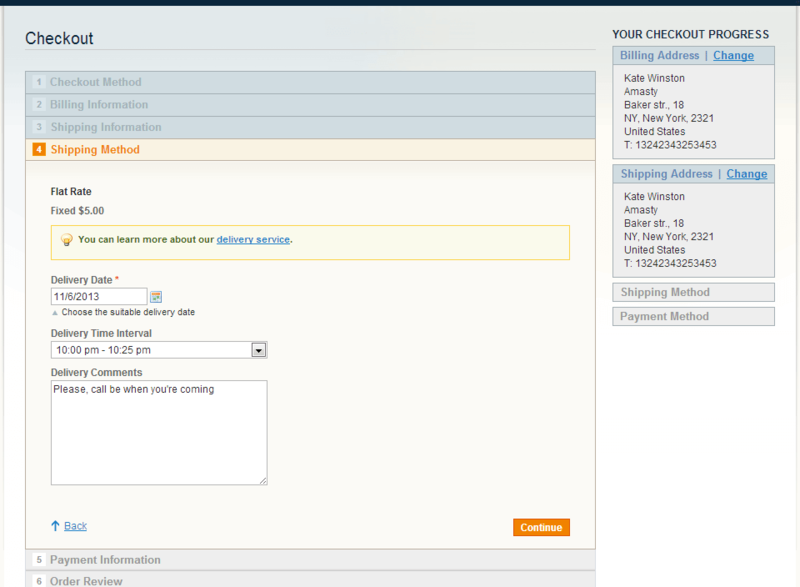 Let customers know if admin an user changes specified delivery date. This small option will significantly improve customer shopping experience and help to avoid delivery date confusion. You can set an interval offset for the same day of delivery that will be equal the time between current time and the first delivery time that can be selected by a customer. The extension provides you with nearly unlimited opportunities for time-table configuration. Specify not only particular days and time intervals to be excluded from the delivery plan, but even date intervals as well. Remember the situation when you don’t know the exact time of delivery and spend the whole day waiting? With the advanced Magento delivery tool you can save your customers from time waist by offering time intervals. 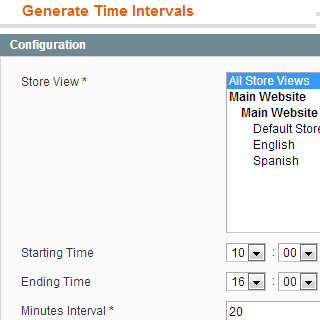 You can create intervals both manually and automatically for each particular store view. 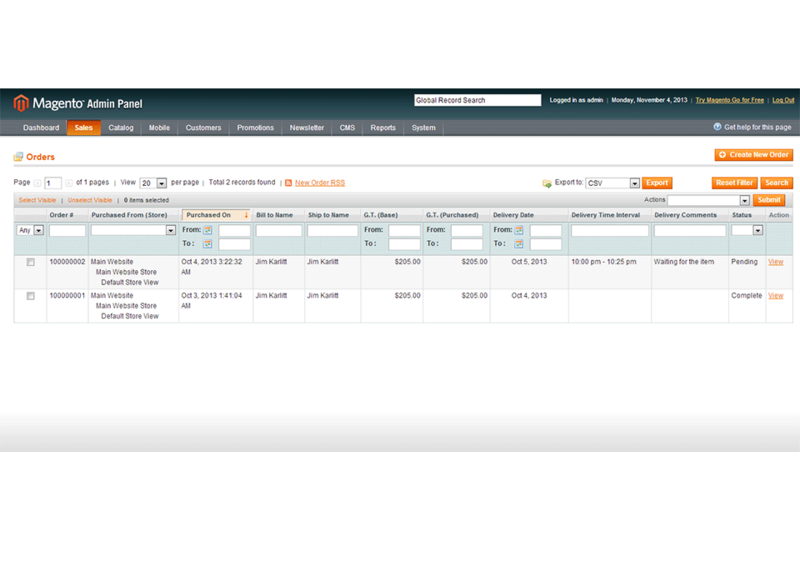 Easily adjust the display of delivery data like date, intervals or comments according to your needs. Now you can display delivery date values in the print copy of order confirmation which customers will easily find on their account page in the My Orders tab. 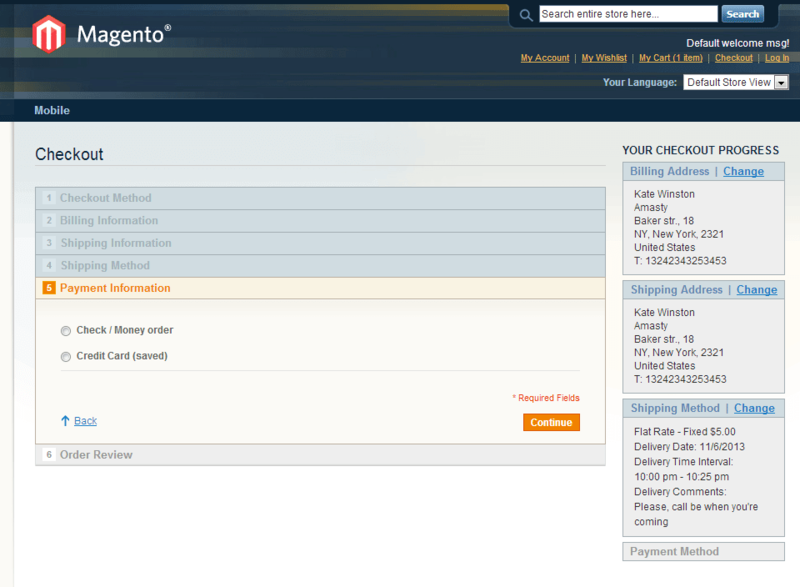 The extension implements the Magento SOAP v1 and v2 API, which offers you more possibilities for e-commerce management. To see, how to get delivery data by API, see the following instructions. 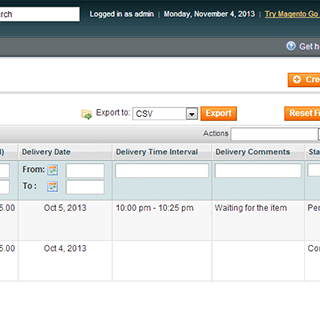 You can enable your managers to edit any delivery data after the order is placed. Can I assign this shipping date module to a shipping method? Yes, you can assign this delivery date feature to any shipping method, thus you can allow customers to choose delivery date and time if they select only particular shipping method/methods. Read on to see how to make the configurations. Can I make Delivery Date available only to certain customer groups? Yes, it’s possible. Please go to System > Configuration > Delivery Date > Delivery Date/Delivery Time/Comments Field > Show For Selected Customer Groups Only > “Yes” and then choose the groups you want to apply the changes to. 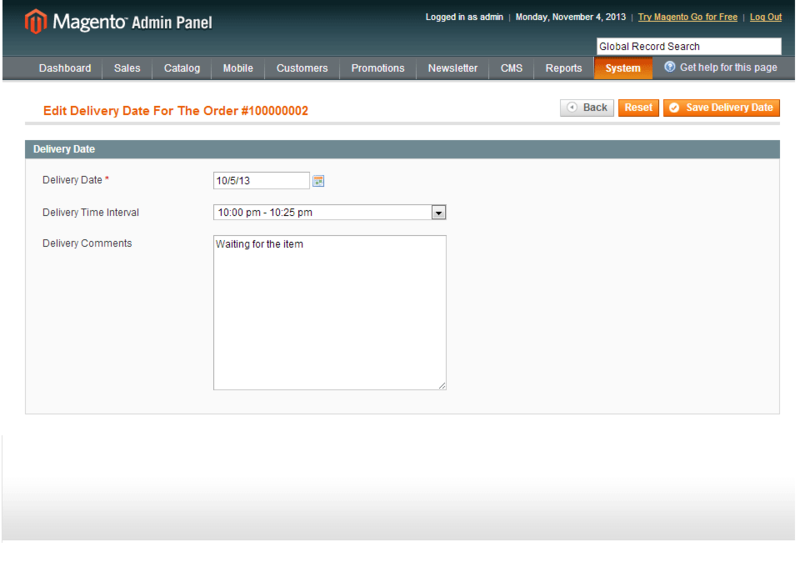 Can I change delivery date info in Magento admin panel? 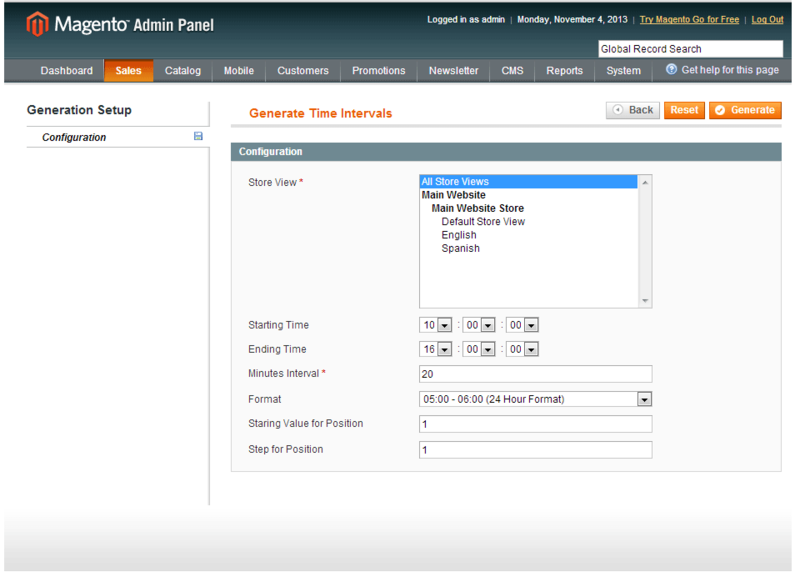 Yes, if needed, you can change a delivery date and/or time via the Magento admin panel. To see how to make it correctly, read the full answer. 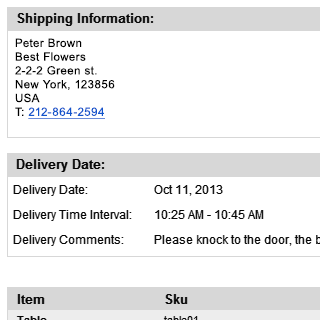 Does this Delivery date work with One Step Checkouts? This module is fully compatible with our One Step Checkout. Moreover, we are happy to confirm that our Delivery date is also compatible with other known One Page Checkouts. In case of any issue, we will be happy to fix it for you. Can I exclude certain days from the delivery calendar? Yes, sure. For example, you may want to exclude some holidays. 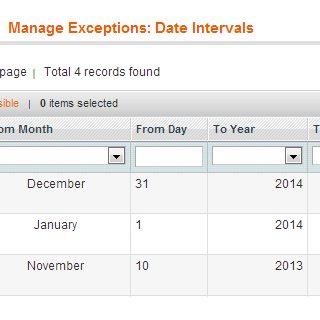 Navigate to Sales > Exceptions: Dates and Holidays. Here you will be able to add a date which will be removed from the calendar only once or on a yearly/monthly basis. The same can be done for date intervals. Can I limit delivery time for same day orders? Yes, it's possible. In case you wan to limit delivery time for same day orders, you need to enable the 'Disable Same Day Delivery After' option and set a time period you need. Can I see delivery date and time info on Magento order grid? Yes, this data can be added to the grid. You can also sort orders by delivery date or time. Read on to see the settings. Can I let customers select only delivery date and not time? Yes, this can be set in System > Configuration > Delivery Time > Enable Delivery Time. This setting is available on a store view level, so you are free to control which delivery date/time options should be available on different store views. How to show Delivery Date in pdf invoice? 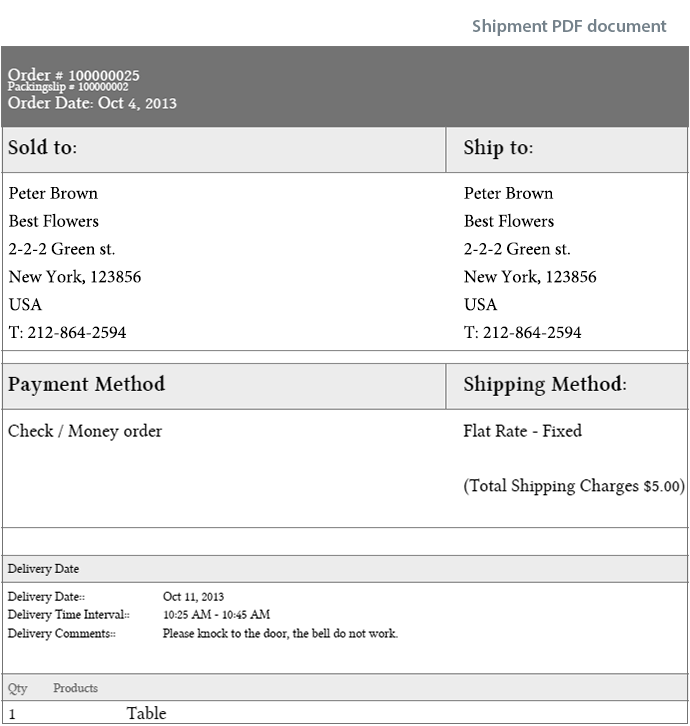 A Delivery Date can be shown in pdf invoice via settings made in the 'Include Into' section. Go on reading to learn how to make it correctly. Yes, there are three main date formats configuration you can choose from. Follow a complete answer to learn the settings. Can I create different time slots for different days? This requires customization. Address our support team for assistance. Can a customer be not able to select previous time? Yes, sure. 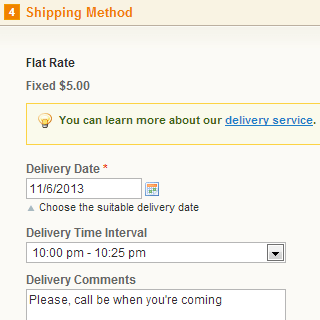 That’s how our Delivery Date extension works: no previous delivery intervals allowed. How can I get delivery data by API? Use one of the examples described in a complete answer to get such shipment info as a delivery data by API. Very good extension, tried a few free ones but they all had issues so decided to buy this one and it was great. Had some technical issue but it was resolved in a couple of days by the support team. Good extension! It is working as described. I had delivery date edit issue in the admin caused by another extension, but the support team resolved the issue. Great Job! Like all extensions from Amasty, support was great. We needed to offer our customers the ability to set the data and time they wish to pick up their orders. Looking for an extension was a challenge until I found this extension. The first attempt to install I was not able to make things work properly but a short time later the problem was solved and now we have a Pick up Date and Time available for our customers to set and our Admin to see in the order. Oh BTW, when I contacted support asking a question about the functions they responded and were very courteous. This is the best delivery date extension out there. You can set time intervals, set time offset before the interval, set advance delivery dates, enable or disable same day delivery and so much more. It also works in most custom themes. If you have trouble making it work, their support is always there to help. They have very experienced and talented support to who will get the job done fast! I hope in the future updates, they will update this extension and include a function like redmart's schedule picker where there are huge visual blocks where you can pick and see if there are still slots left for the current time interval. Similar to the Slot Booking extension by Silvertouch. We experiencing some conflict of the Delivery Date extension with others 3rd party shipping method extension. I contact Amasty support regarding it and they provide straight to the point support with minimal description you only need to wrote. They not only look into the issue in every aspect(code, front-end, admin) but also inspect on the other company extension and inform back their extension also having issue too. Extension works very well. No problems with installation. Also no issues in custom template and custom checkout. Highly recommended! This extension has greatly helped us in communication with our customers. Many of them were not satisfied with our delivery as we could not give options to choose at least date. We also lost money as sometimes our carriers had to go to the shipping address twice to find the receiver. So this extension solved the problem of delivery at the right time. The settings are not very complicated but still you should take time to study them as each mistake in configuration can have negative results. For example, we offer same day delivery and let customers know about that with special labels. But the quota was set to default 1 and at first I couldn’t even understand why we got only one same-day delivery each day. So be careful. I am using magento 1.4 and it works perfectely on my shop. The extention is cheap and does what it does. My shop is a jewelry shop and the tool is a time saver because I don’t have to copy categories manually. We have many items so I was lucky to buy it. We had an error installing it on our shop but great men in support helped us. Very fast support, thank you. This is a great extension. It was easy to set up and customize. It has really helped our business move forward with delivery scheduling. Amasty have the fantastic support and are always willing to help. Thanks! 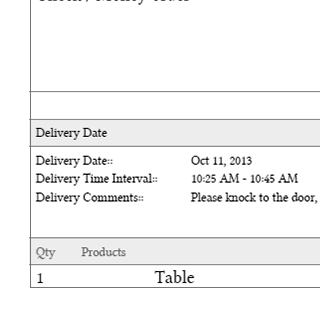 My customers are stunned by the option of delivery date selection! It's convenient from both ends - we can better control our delivery system and customers feel our personal approach and willingly set the time of preferable delivery. Thanks Amasty! Very good implementation! Highly configurable extension. There are several similar extensions on the market, but Amasty created the best one. 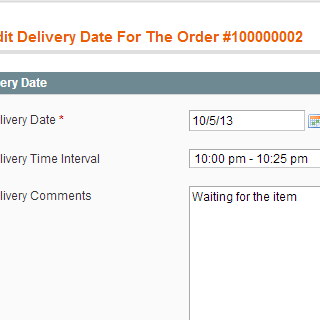 This is exactly what everyone needs to configure delivery date/time functions for their own. It allows to setup anything I can imagine for my store. Thanks for such a great extension! 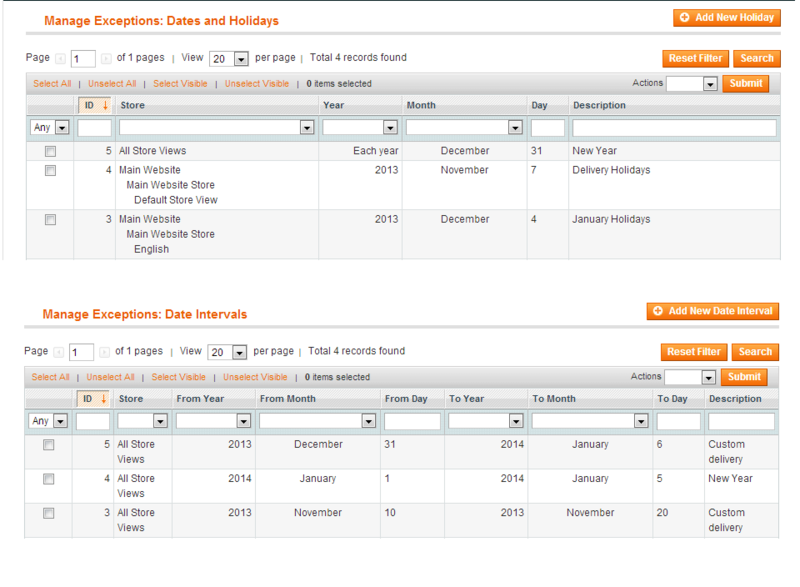 – New feature allows to specify exact working days as exceptions to delivery dates. – New setting to ignore delivery date exceptions for admin: admin can select any delivery date. – Fix for error when trying to generate PDF from invoice/shipment grids. 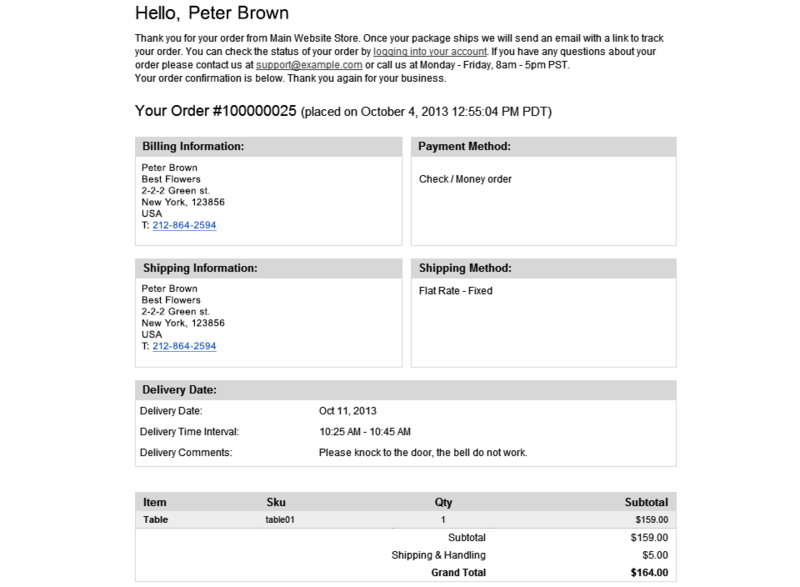 – Support for shipment e-mail.